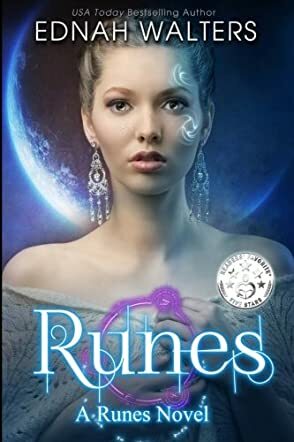 Runes is a young adult paranormal romance novel by author Ednah Walters, and the first book of the Runes series. The central character is Raine Cooper, a seventeen-year-old with a lot of strife in her life already. Her would-be boyfriend Eirick is on the verge of moving away just as their relationship might actually begin, and Raine’s father is missing, which drives her mother to distress. Whilst Raine is barely managing to hold the situation together, a new neighbour arrives to turn her world upside down; the mysterious and super-attractive Torin St. James. As if a hot new neighbour wasn’t distracting enough, Raine soon discovers that Torin’s strange markings have a powerful, ancient connection to a truly magical time. The love triangle between Raine, Eirick and Torin gives the romance element of Runes a dynamic that all YA romance fans are sure to enjoy. Torin is a perfect fit for the ‘book boyfriend’ mould, well described and with his own arc of emotions to work through in the story, whilst Raine is a surprisingly robust lead female with a fair amount of personality. The paranormal elements of the story are developed from Norse mythological ideas, making for a nice change of pace in the genre. Ednah Walters crafts an exciting story that will keep her teen readers turning pages right to the end. Overall, a fresh and well written take on teen romance that hits all the right buttons to make it a successful YA read.